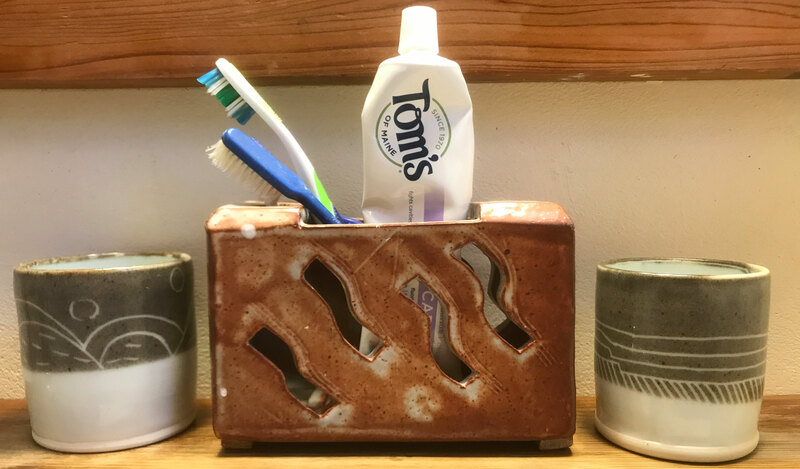 Twice each day Chris and I remove toothbrushes and toothpaste from the ceramic holder – the one that Terry made – that sits on the shelf below our medicine cabinet. The glazes are a mix of brown and gray, earthy like all her pottery. A series of elongated S—like perforations provide ventilation and drying, and are reminiscent of a flock of birds in flight. Practicality and beauty were inseparable for her. Now that she’s gone those holes in the toothbrush holder are like the holes in our heart. Chris often says there are some people whose life is art. Terry was one of those. Her ceramics, her clothing, her food, her house, her child-rearing– all of it was naturally artful. She didn’t have to work at it; it was just her way, free of static and simple as bread. 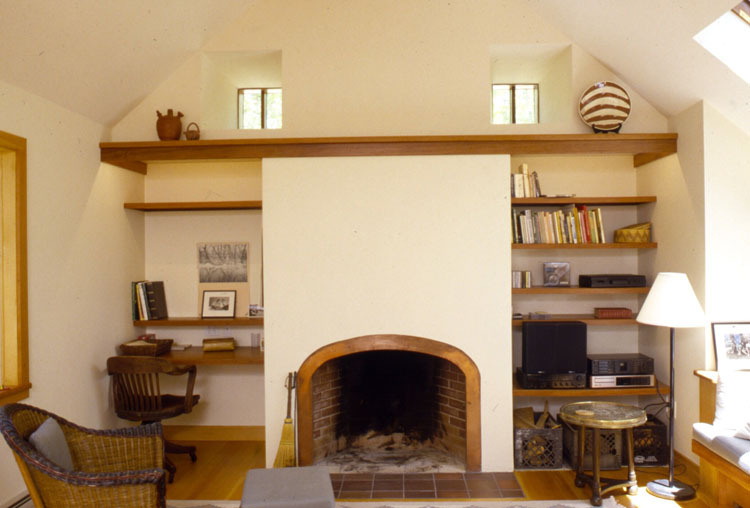 Twenty eight years ago SMCo designed and built a house in Chilmark for Terry, her husband Gerry, and their three then-teenage daughters Caroline, Rachel, and Emily. Prior to that, the family had summered in a little shack they built on the property of friends of theirs on Blue Barque Road. They called the shack the Hacienda. They bought a piece of wooded property just up the road. We helped them clear an area and dragged the Hacienda over and placed it on the new property. It was the beginning of a long and wonderful story of a family and a place. Not to take anything from Gerry, or the kids, or, for that matter, from us, but the house that emerged on this property was really the house that Terry made. To this day it is imbued with her imprint as much as the ceramic pieces that she often stamped with geometric patterns. To Terry, each decision was worthy of careful consideration, but our collaboration with her was so seamless that only in retrospect could you internalize the intensity of the process. Terry drove us to solutions that met the budget but never compromised beauty and character. Sometimes our clients become friends for life. That’s what happened with the Hass family, and the house we made for them remains one of my favorites. The screened porch, which connects the main, winterized part of the house to an un-winterized bunkroom (which, later, when more funds were available, was winterized and expanded, including a studio for Terry) became the heart of the house, truly the “living” room. A few weeks ago, nearing the end of her life, hardly able to travel, Terry decided the family would leave Cambridge and go to the Vineyard. She wanted to be on that screened porch looking at flowers and listening to birds sing. She wanted to die at her true home, surrounded not only by family but by the place she fashioned. Long ago when we were at the Hass’ celebrating the completion of the house, my five year old daughter Sophie asked, “Are Terry and Gerry South Mountain?” Now 32, she remembers this well. She says that she was “classifying”: trying to figure out who belonged to which group of people in our lives: family, friends, Chris’ preschool, South Mountain. Yes, Terry was, indeed, South Mountain. She had an important job: to help us do our very best work for her. She did that job with a combination of elegance and thrift, in the very best sense of each. Artfully, of course. Thank you for being a part of our lives, Terry. You remain with us, and you will. By the way, the little Hacienda is still there too. Thank you for that beautiful tribute to Terry. In deed a very special person. The community will miss her. What a lovely article. Please send my condolences to Gerry and the family. The Hasses recommended you to us. I did not know Terry but now I do. A beautiful tribute to an obviously special person. Thanks for sharing. Beautiful tribute. For a long time I had a colander made by Terry. It was just the right size. Most colander s are too big for a family of two. And of course they are either plastic or metal. I treasured the ceramic one Terry made. When I bought the colander, I had a conversation with Gerry and discovered he had been my niece’s pediatrician. Thank you, John, for helping us remember Terry. I just read your essay about the life of Terry Hass. The tears in my eyes are still wet. In just a few words you introduced me to a beautiful soul, told me the story of a loving family and their beautiful house, and reminded me again of what makes you and South Mountain so special. You just made a really beautiful day even more lovely. Great stuff John. I read your blog for notes like these. Lovely. A wonderful tribute to Terry, the Hacienda and her two families; the second being South Mountain. This made my eye holes leak. I love this person I’ve never met and am grateful that she was here on earth and touched the life of someone who has lifted so many others. Condolences John. So sorry to hear of Terry’s passing. Lovely tribute, John. Thank you. I know the Hass family well, and have enjoyed a number of long weekends in Terry and Gerry’s beautiful home on the Vineyard. Thank you for this touching story and tribute to a remarkable woman and artist. Terry was a gem, and the center of her family. We all miss her so. 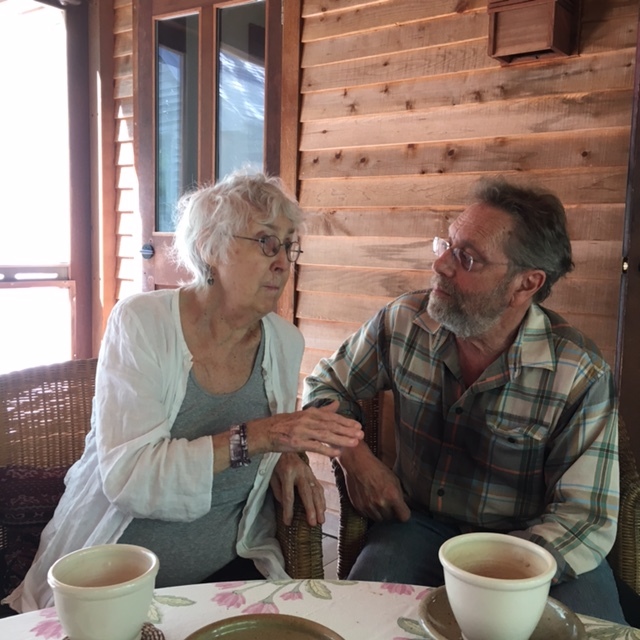 Thank you for sharing this special story about a special woman (Terry) and her relationship with a special company (South Mountain). It’s stories like this that remind us of why we love the Vineyard and South Mountain! It’s been a priviledge to witness the love Terry and Gerry had for each other…i haven’t seen him since her passing,i hope he is at peace. Thank you, John – this is so beautiful and such a loving piece. where we have enjoyed so many wonderful times as a family. eloquently, she is with us always, every day. I appreciate all the heartfelt and insightful comments. Terry really did bring out the best in people, didn’t she?